Have you purchased a house in Mason OH and planning to move in? Let us help you to maximize space in your bathroom. Who doesn’t like having a big bathroom but what if the size is small and you still wish to make it look bigger? Well, for this you need to know some practical tips to maximize space in your bathroom. All it needs is an organization skill to make each square foot count in your little bathroom to make it impressive. So, here are some easy ways that can help you add some extra space to your bathroom. These are practically very easy to follow and can be tried without worrying about your budget. So, go ahead and check these out! The first tip to maximize space in the bathroom is to opt for softer shades. 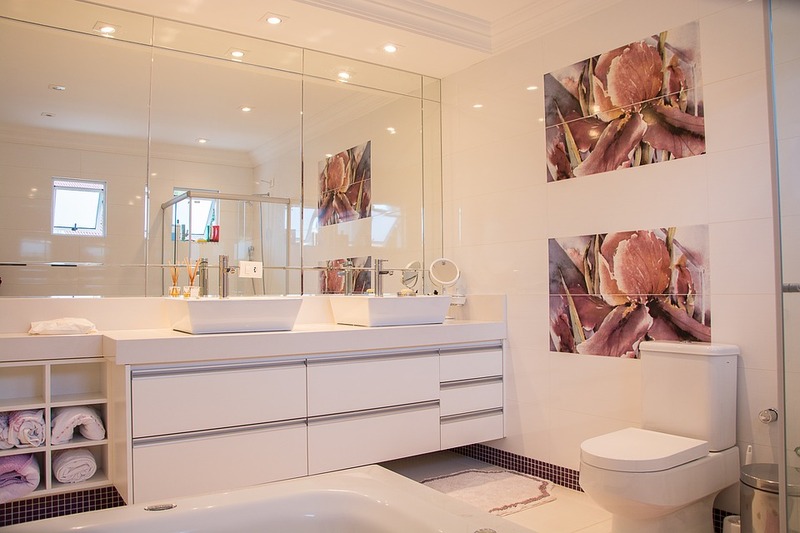 Undertones, pale or subdued colors ensure that the bathroom looks much bigger than its actual size. So, strictly cross out all the options of darker shades from your mind when it comes to designing your bathroom. The second useful tip is to use a glass-enclosed shower instead of shower curtains. This will not only help you to get a clear vision of your bathroom but will prevent it from getting messy whenever someone takes a shower. In short, a glass-enclosed shower will be your best bet to maximize space in your bathroom. Ensure that your real estate agent knows about your preferences beforehand. This will ensure that your house in Mason OH is just the way you want. It is always better to communicate and set expectations upfront. Not many people understand that installing a bigger mirror in the bathroom is not just about better views of yourself. It creates an optical illusion and the bathroom appears bigger. 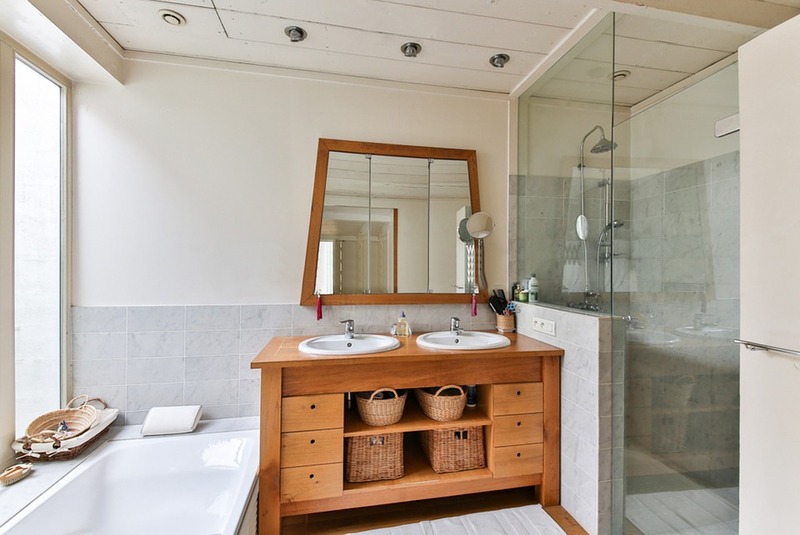 Yes, you can try it out to see how placing bigger mirrors helps to maximize space in your otherwise small bathroom. The choice is yours, whether to install the mirror horizontally or vertically; either way, a bigger mirror will make your bathroom look bigger. We suggest looking for options to install bigger windows so as to get abundant natural light in your bathroom. You should leave one curtain open to allow natural light into your bathroom. If nothing can be done about the window, then try installing tubular skylights. Lastly, make sure you remove the clutter from your bathroom. 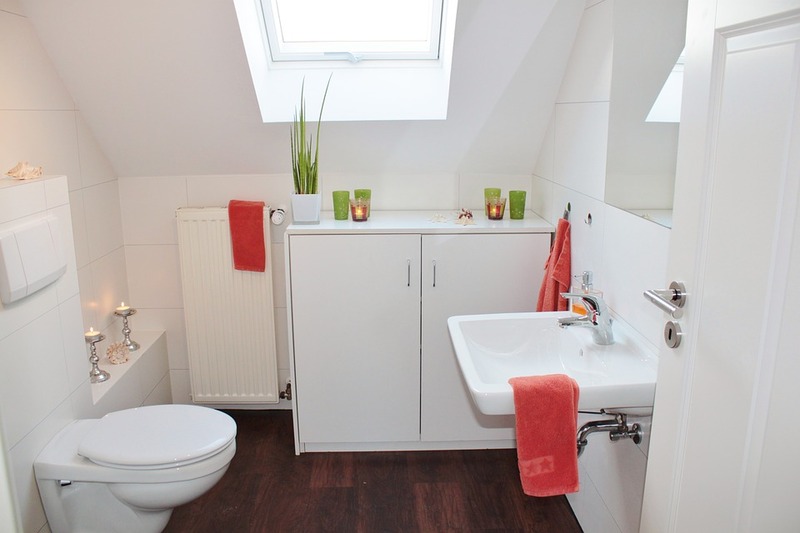 Just sit and spare some time to consider what is useful and what is not required in your bathroom. You need to discard expired toiletries and other useless things and at the same time replace them with only the required products. Don’t place an excess of anything in your bathroom. When it comes to a bathroom, every little thing counts; the mirror, storage, bathtub, color, vanity or shower. So, the trick is to play safe as well as organized and to look up for options to make it clutter-free. Looking to buy a house in Mason OH? Contact a renowned real estate agent today!